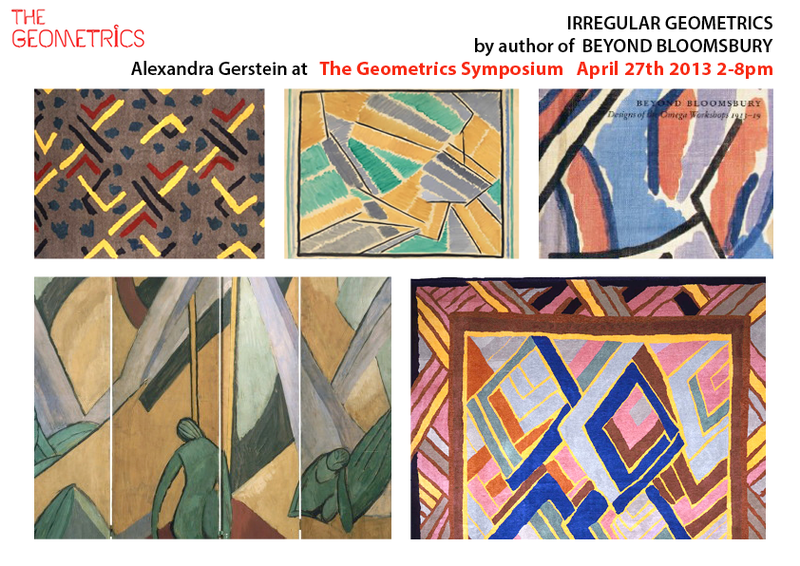 Among many wonderful and inspiring papers being presented on Saturday 27th April 2013 from 2-8pm at The Geometrics Exhibition & Symposium is Alexandra Gerstein’s paper The Free Geometry of Omega Workshops Textiles, 1913-1919. Book here and see you there! Previous article#STGresearchNew Social Textiles - Interpsychic Effects Made Visible! Next article#TheGeometricsLearn Geometric Machine Knitting this Thursday LIVE ONLINE from your Computer!